I am a senior research fellow at the Sea Mammal Research Unit (SMRU) and am affiliated with the Centre for Research into Ecological and Environmental Monitoring (CREEM) where I spend one day a week. 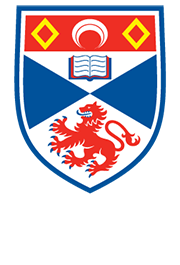 2011-2014 Post-doctoral research fellow, Sea Mammal Research Unit, University of St Andrews. 2008-2010 Research fellow, Centre for Research into Environmental and Ecological Monitoring, University of St Andrews. 2005-2009 PhD: "Modelling the effect of climate variation on British seabirds" University of Leeds. I am interested in the marine ecosystem and species at the interface between the marine and terrestrial environments, namely seals and seabirds which are dependent on the marine ecosystem for food but on the terrestrial environment for breeding. I am particularly interested in interactions on various levels: among different taxa, between species and humans, and between species and their changing environment. Investigation of seal population trends and their drivers. Using a mixture of Bayesian and frequentist methods to analyse harbour and grey seal telemetry data to answer both pure and applied research questions. Investigation of the impact of anthropogenic structures, their construction, operation and decommisioning, on marine predators. Using movement and behavioural data within a state-space modelling framework to define activity budgets. Modelling interactions between seals and fisheries in a spatial context, using state space models. Modelling the effect of climate variation on British seabirds. PhD: Katherine Whyte, “Behavioural responses by seals to offshore energy activities”. Post Doc: Matt Carter, “Comparative Habitat preference of seals around UK”. J. Chris McKnight (2018). Counting the Cost of Tagging: Quantifying and Reducing the Behavioural and Energetic Impacts of Tags in a Large Marine Vertebrate. J. Chris McKnight (2011). Short-term effects of capture and tag attachment in common seals, Phoca vitulina. 2nd year interdisciplinary module "Science Methods"
Marine Mammal Biology and Environmental Biology Masters.